If the answer is YES, don’t miss the opportunity to participate in our Startupbootcamp FinTech’s Office Hours. Come, engage with Christine Chang, Program Director of Startupbootcamp Scale FinTech and receive valuable feedback. 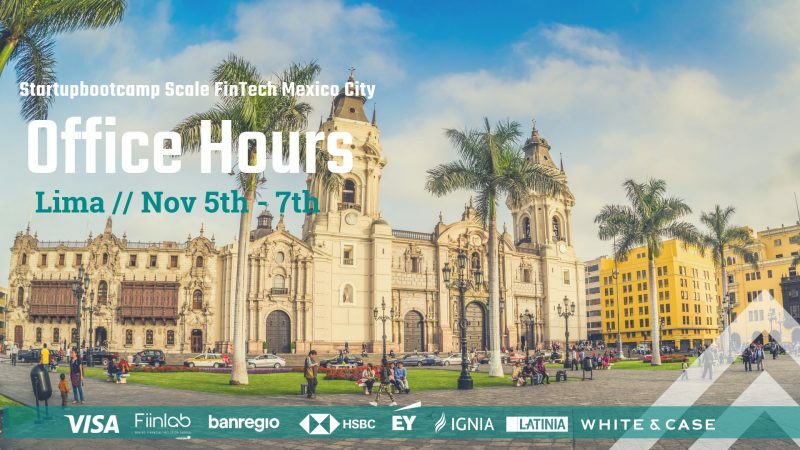 APPLY HERE to be part of our Office Hours at Lima, and if you are one of the selected teams, you will have the opportunity to present your startup to our team, participate in a one to one meeting, and experience a glimpse into the value you can unlock via the Startupbootcamp programs. Also, you will be added to our “watch list”, which gives you higher chances to be selected for the second generation of Startupbootcamp Scale FinTech Mexico City. Startupbootcamp Office Hours sessions are open to all startups from all over the world who are looking for market expansion into Latin America. Any startup thinking of joining the Startupbootcamp Scale Fintech program is encouraged to apply. How to apply for an Office Hours meeting? Complete this short online form to apply for the Office Hours that will be held in your city. Applications close 3 days before the event, so make sure you fill out your info before then! We will be in touch shortly after applications close to notify those that have been selected for Office Hours. At Startupbootcamp Scale FinTech we’re looking for top-notch FinTech startups for our scale program. Startupbootcamp Office Hours are informal events that we use as part of the screening process. In return, you get instant feedback from our team. Apart from attending Office Hours, you can apply for the Startupbootcamp Scale FinTech program! Simply click HERE.